Conveniently to adjust the proper Length and angle as you wish. Conveniently and easily control your device at distances of up to 10 meters. 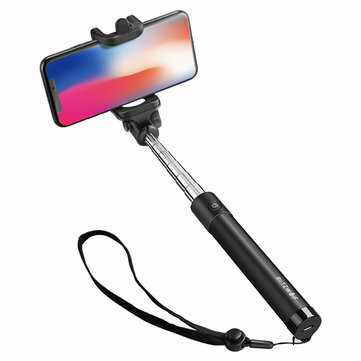 The Alumina + ABS + PC Material gives the selfie stick strong resistance to fall and capacity of anti-corrosion. Fits most mobile phones with iOS 5.0 above, Android 4.3 above system.